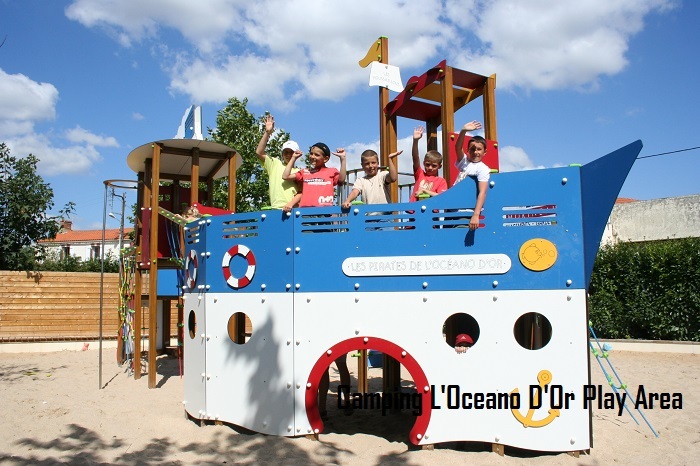 Camping L’Oceano d’Or is a well maintained medium sized 5* friendly Campsite. 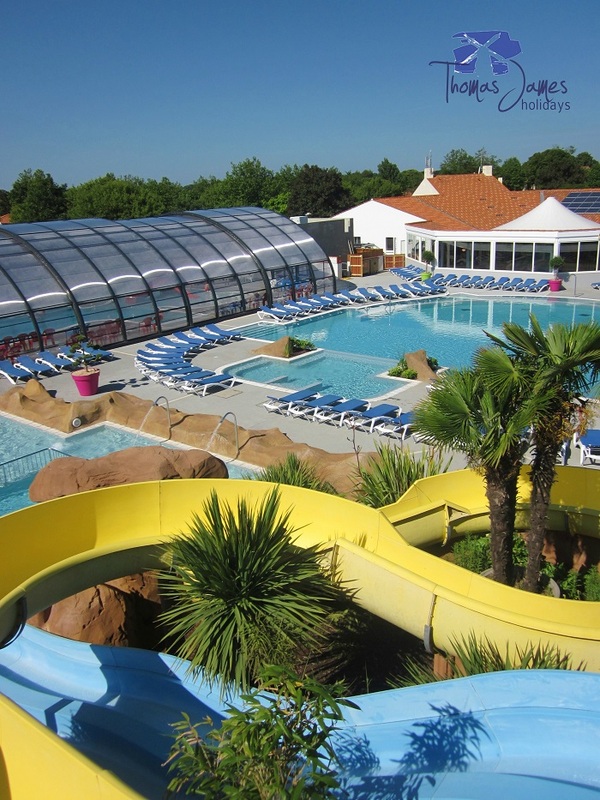 Located next to the town of Jard Sur Mer in the Vendee countryside. 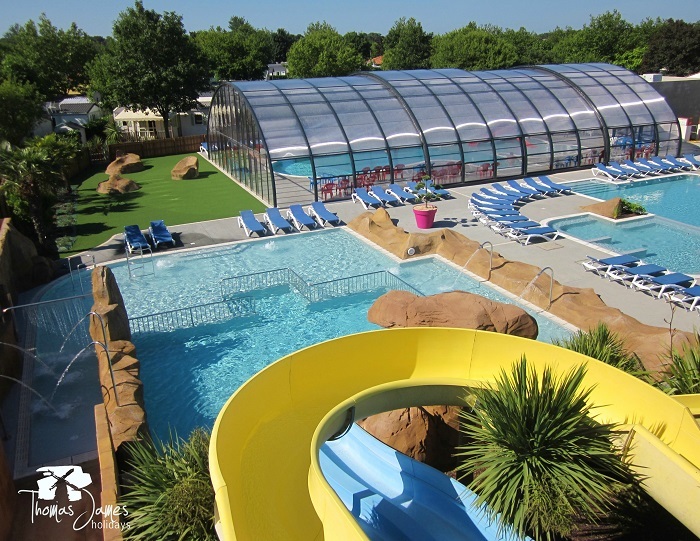 The town with its shops and restaurant is five minutes walk from the campsite and the nearest beach (Plage De Boisvinet) is just a fifteen minute stroll from the campsite beach gate. 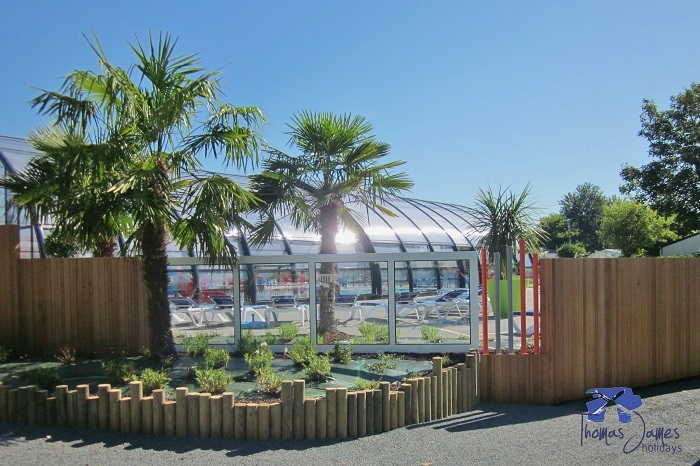 All of our mobile homes are situated on large grassy emplacements surrounded by hedges and small trees each one offering a large degree of privacy enabling you to have a stress free and relaxing holiday! 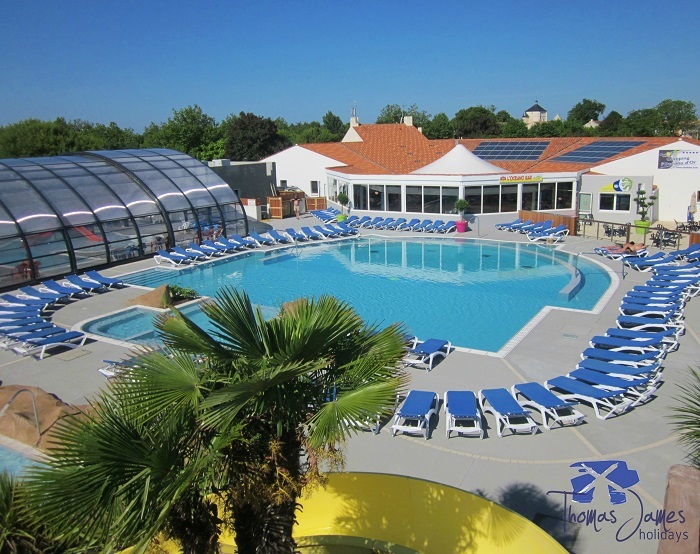 The heated indoor and outdoor pools have waterslides, a children’s pool as well as plenty of sunloungers. Adjacent to the pool is the spacious bar, games room and amphitheatre. 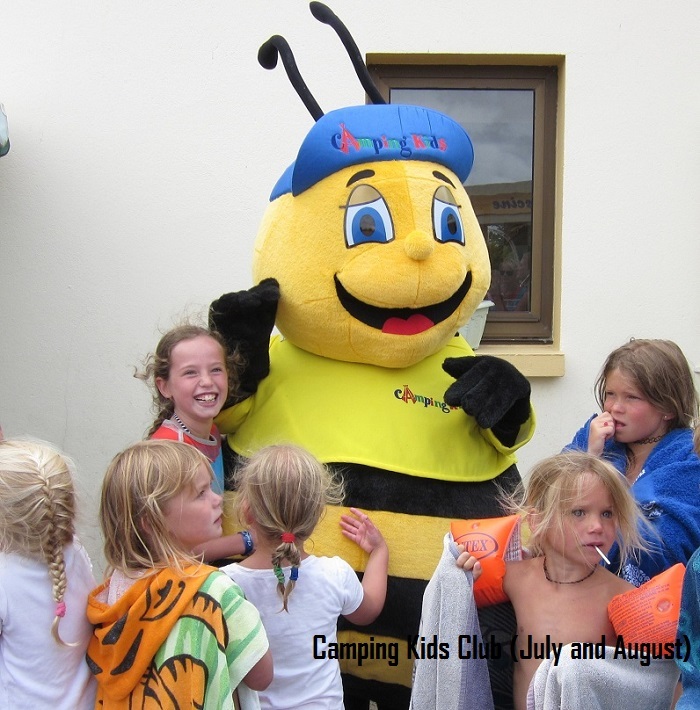 Wifi is available in the bar and throughout the campsite. Popular sports events are shown on the large screens in the bar throughout the season. 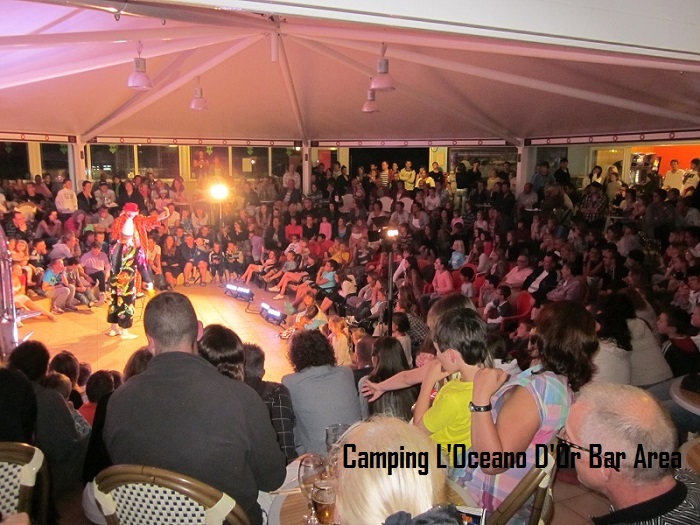 During the high season Camping L’Oceano d’Or organises a varied and lively entertainment program including a kids club, live music, magicians, moules frites evenings, Petanque (boules) competitions, kids mini discos, shows and discos. 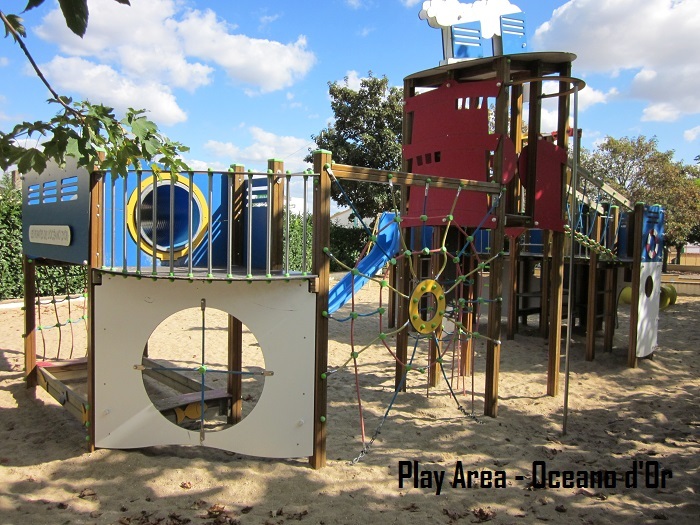 The childrens play area complete with pirate ship and spider climbing frame will keep the young ones entertained for hours. 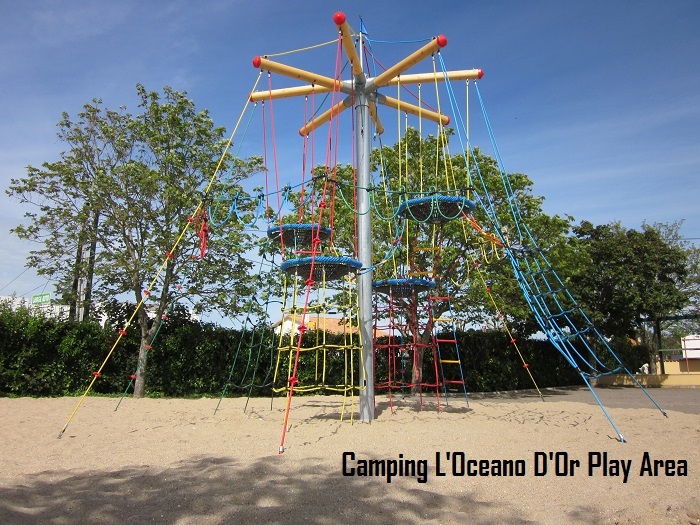 For those of you looking for a more energetic holiday Camping L’Oceano d’Or has a tennis court, table tennis tables, multi-sport pitch for football and basketball, boules area and a small fitness gym. 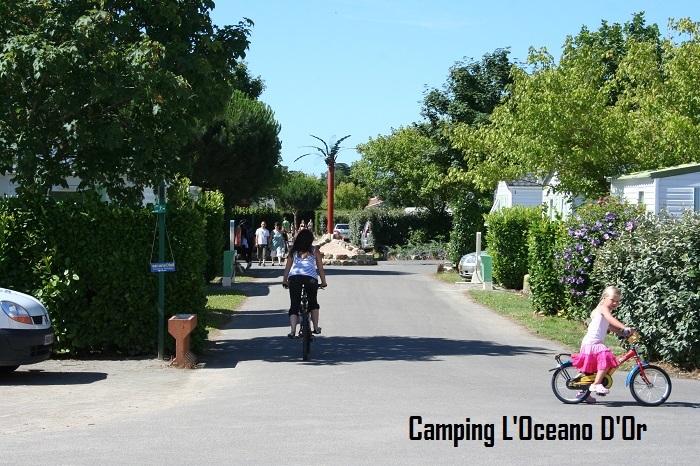 Camping L’Oceano D’Or also has all the day to day essential amenities with a shop, take-away and newly equipped laundry room. All prices are for a mobile home per week including decking. We have a limited number of semi covered decking available for £55 per week. We can also accept payment in euros please ask us for a € price.